Jean Fugett wasn’t ready to drive a car, let alone be a pioneer. The very next winter, when he turned 14, Fugett made a substantial contribution to Black Catholic History Month, observed every November. It is hard to imagine the Baltimore Catholic League without black players, but before Calvert Hall’s Juan Dixon led Maryland to an NCAA title, Archbishop Spalding’s Rudy Gay became an NBA star and Mount St. Joseph’s Phil Booth went off to Villanova, there was Fugett helping to integrate the circle of varsity teams that would become one of the nation’s top prep basketball proving grounds. “We were oblivious to that stuff,” he said. Better known for playing in a Super Bowl and heading a Fortune 1000 company, Fugett, 62, acknowledges that none of that would have happened had his parents not sent him to the parish school around the corner. Fugett entered the former Cardinal Gibbons High School 50 years ago. It was a decade after the Supreme Court’s 1954 Brown v. Board of Education decision struck down state laws that sanctioned separate schools for blacks and whites, but only a year after Cardinal Lawrence Shehan, archbishop of Baltimore, had issued a pastoral letter calling for an end to segregation in Catholic hospitals, parishes and schools. “He was a wonderful man,” said Fugett’s mother, one of the late cardinal’s premier advocates in the black community. Carolyn Fugett and her husband, Jean Sr., reside in Randallstown, but she remains an elder at St. Edward in West Baltimore. They raised their children in a row home on Mosher Street, around the block from the parish and its school. They grew up in one, where industry and the liberating power of education were stressed. More than a century ago and less than 50 years after the Emancipation Proclamation, Fugett’s grandparents were earning degrees from Cornell University and the University of Kansas. 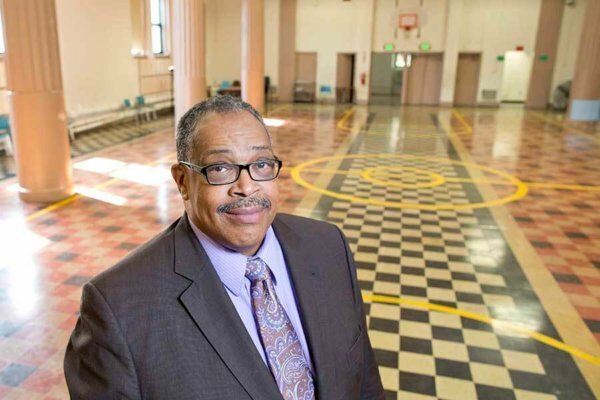 While St. Edward was predominantly black, there were white children in its classrooms and a young white priest, Jesuit-educated Father Edward T. Hill, who died last year at age 78, practicing with the older boys playing CYO basketball. In the late 1950s, basketball teams from Catholic high schools in the Washington, D.C., area stopped scheduling their all-white counterparts from Baltimore, because of competitive imbalance. John Thompson, who would become the first black to coach an NCAA basketball champion, at Georgetown University, starred for D.C.’s Archbishop Carroll High School in 1960. Five years earlier, Carroll’s seniors included Larry Callahan, who would be Gibbons’ athletic director and basketball coach when it opened in 1962. In 1964, Callahan hired Ray Mullis to coach basketball. In the same 1965-66 basketball season in which the University of Maryland’s Billy Jones integrated the Atlantic Coast Conference, Mount St. Joseph used Lucian Brown and Calvin Scroggins, and the Gibbons varsity had its first senior class and Fugett, a sophomore whose precocity obscured the fact that he had been a young first-grader and then skipped seventh grade at St. Edward. A Georgia native and U.S. Army veteran, Mullis pushed the Crusaders to a 17-10 record. As a senior, he averaged 17.4 points and 13.4 rebounds, and Gibbons got its first victory over Mount St. Joseph. Pat Maggio was a junior guard on that 1967-68 team. He later coached one year for the late Mullis, who guided the Crusaders to 620 victories in 30-plus seasons and whose name is attached to the BCL Coach of the Year honor. Fugett and Maggio, a religion teacher at Loyola Blakefield, shared more than basketball. Fugett had quit the football team as a freshman, but gave it another shot as a senior. In his second and final year as Gibbons’ coach, Bob Patzwall was ready to end the Fugett experiment after a lop-sided loss to Loyola, but then Dons’ coach Joe Brune invited him to view film of the scrimmage. In 1968, Fugett became the first black to win the Baltimore Catholic high school Athlete of the Year honor awarded by the Catholic War Veterans. That spring, riots enflamed the city after the assassination of Rev. Dr. Martin Luther King Jr.
His academic and two-sport prowess earned him acceptance to Amherst College in Massachusetts. He was still only 16 when he played freshman football, and 20 in 1972, when he was the 338th player taken in the 1972 NFL draft, by the Dallas Cowboys. Carolyn Fugett also made an impression with the Hall of Fame coach, marching onto the team bus after an exhibition when Jean was a rookie and instructing Landry to take good care of her son. He became a starter and had a career-high 38 receptions in the 1975 season, which ended in a four-point loss to the Pittsburgh Steelers in Super Bowl X. Free agency took Fugett to four seasons with the Washington Redskins. 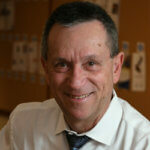 He dabbled in newspaper reporting and sports radio and TV, and earned a law degree from George Washington University. Fugett’s siblings include the late Reginald F. Lewis, who built TLC Beatrice Foods into a billion-dollar business and whose name is on the state’s Museum of African-American History. When Lewis died in 1993, Fugett briefly ran the company. He has worked as an attorney, done some teaching, is a regular on “Square Off,” a Sunday-morning talk show on WMAR Ch. 2, and is writing his memoirs. Football left him with no cartilage in his left knee and the medication he takes for Type 2 diabetes can leave him in a funk, but he has plenty to be thankful for, such as the wedding next month of his daughter, Audie, to Adam Jones, the face of the Baltimore Orioles. He gives special thanks to his parents.